This year we were asked to join two other couples and their children for Thanksgiving. So, I made desserts. 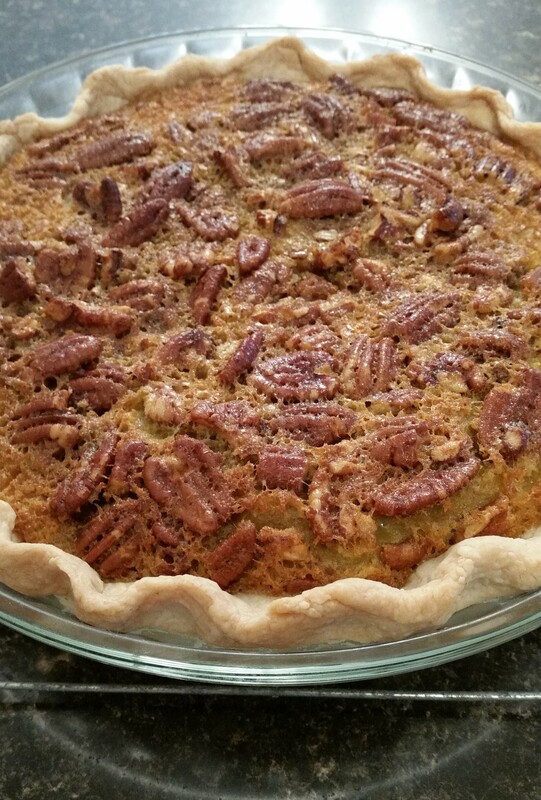 One of them was this pumpkin pecan pie with homemade pie crust. It was the first time I have made a pie crust and I was really nervous that it wouldn’t stay together but it did and I was very proud of myself. 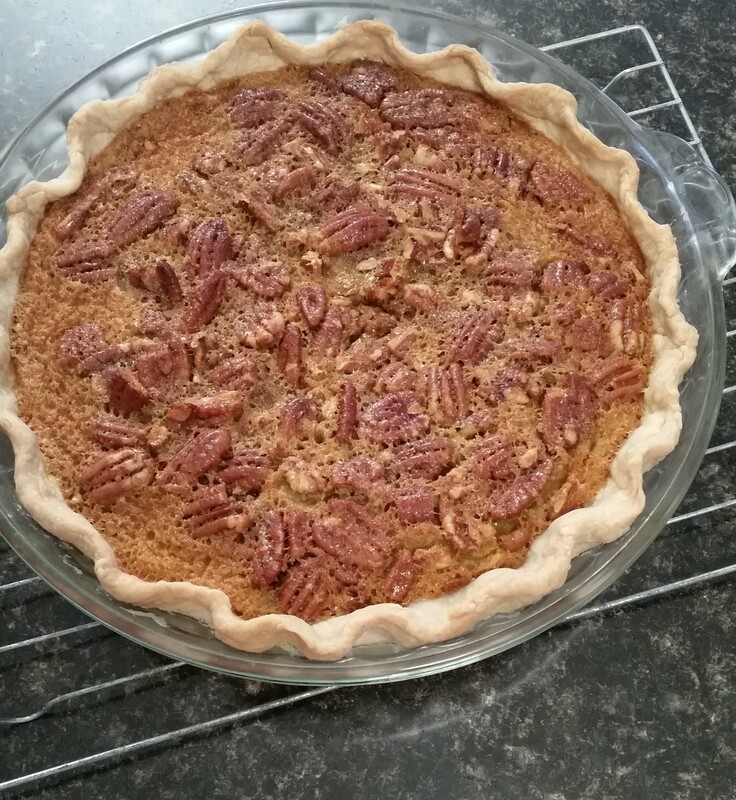 I modified this recipe for the pie filling and modified this recipe for the pie crust. In a large bowl, combine the flour and the salt. Cut in the shortening and butter with two forks until the mixture resembles a coarse meal. Put the dough onto a lightly floured sheet of plastic wrap and form into a disc. Lightly flour the top of the pie dough and place another sheet of plastic wrap on top. Rolling from the center, roll until the dough is about a ⅛-inch thickness. Remove the top piece of plastic wrap, fold the dough over and lay across the pie plate and remove the bottom piece of plastic wrap. Press the pie dough lightly into the bottom and sides of the pie plate. Cover the pie plate with a piece of the plastic wrap and place in the freezer for about an hour. You can leave it in the freezer overnight. Stir pumpkin, sugar, egg, and pumpkin pie spice in bowl. Spread over bottom of pie shell. In the same bowl, stir syrup, sugar, eggs, melted butter, and vanilla extract, then stir in pecans. Spoon this mixture over the pumpkin layer. Bake for 50 minutes or when inserted toothpick comes out clean. Cool pie on a wire rack. Oh wow it looks so delicious! !